I am a novice sewing person and would like to know if there is a pattern or directions from anyone here on how to make a handsewn pillow cover. 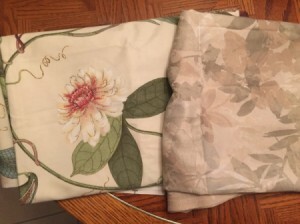 I recently received a yard of different upholstrey samples and I would like to make slipcovers for pillows I already have (size is 24x24 and 22x22). I don't think I would add a zipper, but maybe an easier attempt would be with a Velcro closure? I don't have a sewing machine yet, but I am saving for one. Thank you for your time! Fold your material in half, right sides together.